for the life of your site. Getting your website launched is just the beginning. Like a classic car, it requires constant love and attention. To generate traffic, you need to make the most from analytic tools and keep your website fresh. This requires commitment and a broad range of different skills, and a variety of different solutions. We can give you tips on how to best develop your website. Improve its effectiveness, and promote your business as a whole. If you prefer, you can pay-as-you-go when you need our support. Ask for our rates. 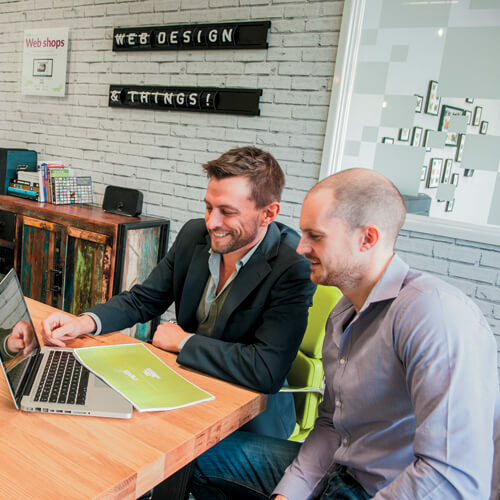 Or, with Nettl :concierge, our team is your support team. Rather than paying by the hour to make small changes, or per incident for support, Nettl :concierge gives you priority access when you need us, for a low flat monthly retainer. We are your secret weapon. We help maintain, promote, develop, and gain traction with your new website. Our support and expertise in both online and offline promotion will help your website and business grow. Maintaining, changing, and updating your website is a key part of future proofing. We can help amange your website on an ongoing basis to make sure that it stays relevant and moves with the technological advances online. Jump the queue for changes or tweaks to your site, with priority service from our designers. Also known as SEO (Search Engine Optimisation). Everyone wants to be number one on Google. The starting point is all about having a well-structured site, with relevant content. With [OPTIMISER, our marketers will help identify important keywords and assess your content to maximise your chances of being ranked. Need help seeting up a Facebook page, Twitter profile or LinkedIn account? Let us do it or show you how. With [SOCIALISER, our copywriters can tweet and post regular status updates throughout the month to drive traffic to your site. Get your website noticed with [PROMOTER. We can help with marketing your website across Google and Facebook, and using your client database to batch email them with your promotions. Google AdWords campaigns are being increasingly used to push traffic to websites via local searches. As a Google Partner, we are an approved agency that helps tailor and manage these online advertising campaigns.